MCSA welcomes a new director of player development to the staff, John David Son. Andy Pagel has stepped down as director of player development at MCSA. We thank him for all of his hard work in implementing the academy program and maintaining MCSA's reputation as the premier league in the area. As a result of his departure, MCSA welcomes a new director of player development to the staff, John David Son. John David has been a part of the Marshall County Soccer Association since he was five years old, competing in both the recreational and competitive sides from U-6 through U-18. John David played for the Marshall County Marshals from 1994-1997, and was a starting defender for the 1997 team that made it to the State Final Four. Coaching has been a part of John David’s family for many years. His father, Stephen, was the first boys high school coach at MCHS from 1983-1989. His brother Martin has served as an Assistant Coach at Murray High School and recently completed a two year stint as head coach at Calloway County High School. John David began his coaching career as a senior in high school, coaching a U-10 boy’s team in Calvert City. 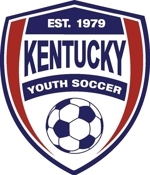 From there, as a freshman in college he coached a U-15 competitive team in Murray, KY, winning two tournament championships. That experience sparked his interest in coaching and launched a high school coaching career spanning nine years. From 1999-2002, John David served as Junior Varsity coach at Murray High School. In 2001, John David got to share in the victory as the team won a regional championship title. After his four year tenure in Murray, John David returned in 2003, to his alma mater, to take the role of assistant coach. From 2003-2007, John David assisted with both the Junior Varsity and Varsity teams, while devoting most of his time towards goalkeepers and the defense. John David resigned from high school coaching in 2008 to start a career in the broadcast booth and currently serves as a voice of the Marshals on WCCK 95.7. John David also has three years of experience coaching middle school soccer at both Murray and presently Marshall, winning the 2008 Middle School Boys District title this spring. Also in 2008, John David was part of the inaugural Marshall County Soccer Association’s Academy, serving as a coach for U-10 girls. John David is currently in his fifth year as Chief Information Officer for the Marshall County School District.